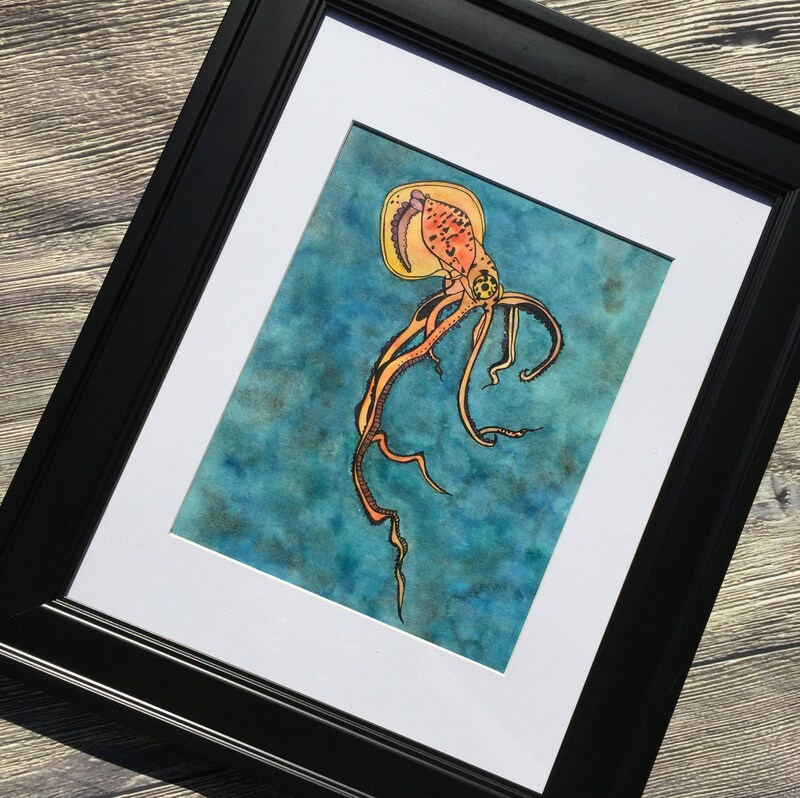 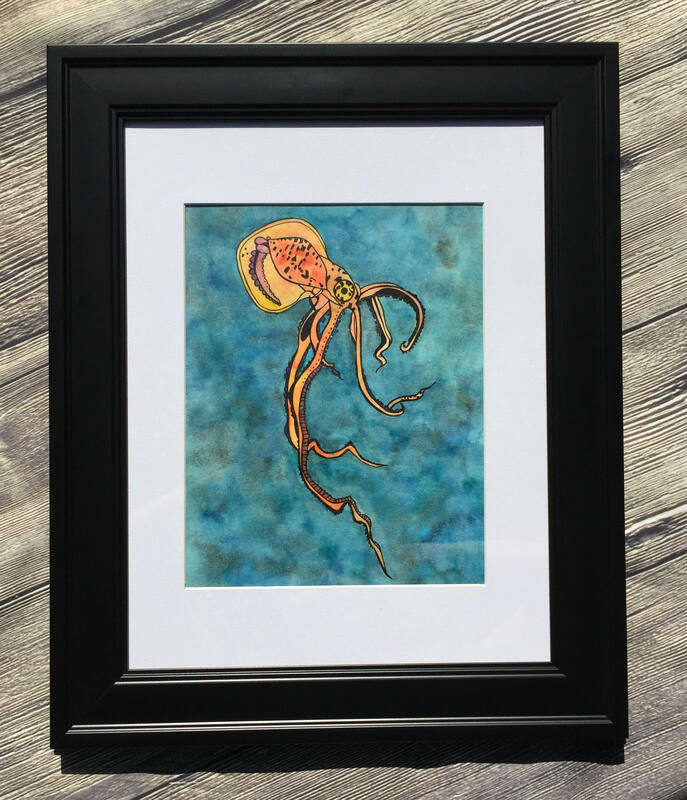 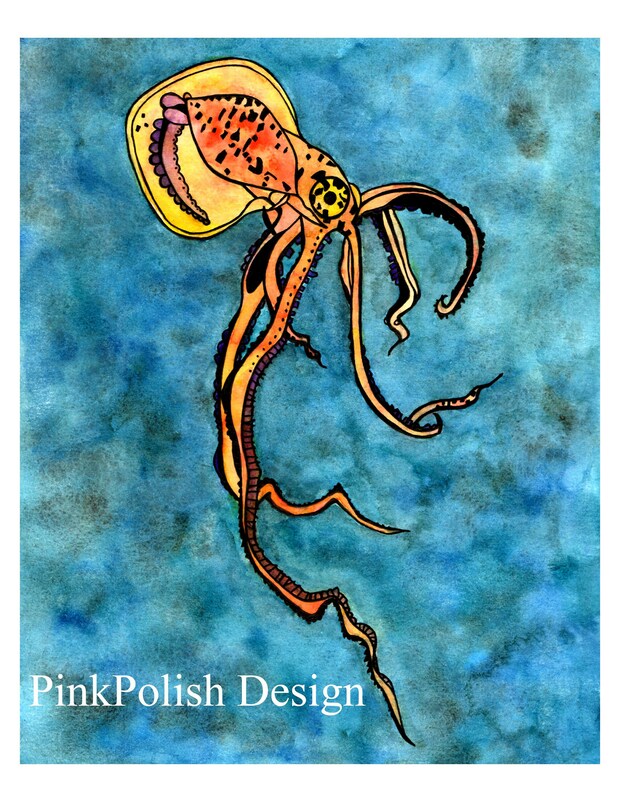 This original watercolor painting is a brilliant orange translucent squid. 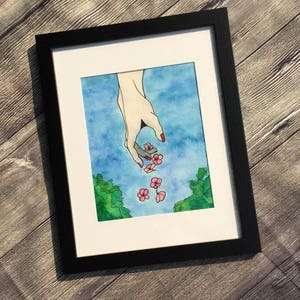 This illustration is created on Canson Watercolor paper with Micron Pens and professional grade watercolors to ensure its archival quality and that it will stay beautiful on your wall for years to come. 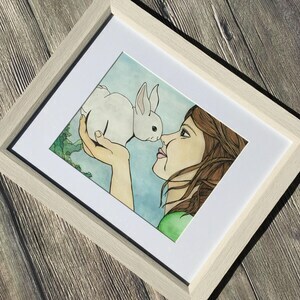 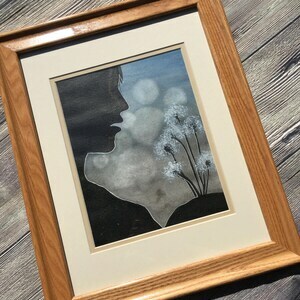 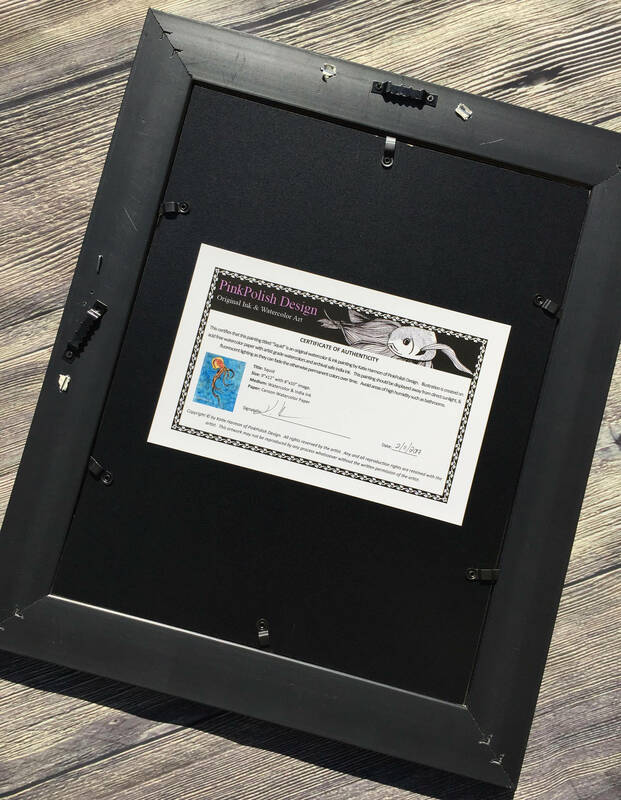 Framed in a 12"x14" black frame with an 8"x10" image area white matte. 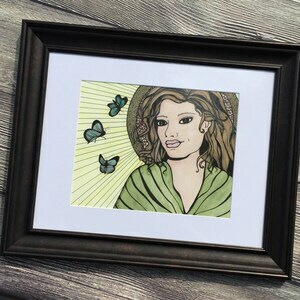 Secured to matte with archival image strips to avoid adhesive touching the artwork.